February 4, 2015 - Like us now! 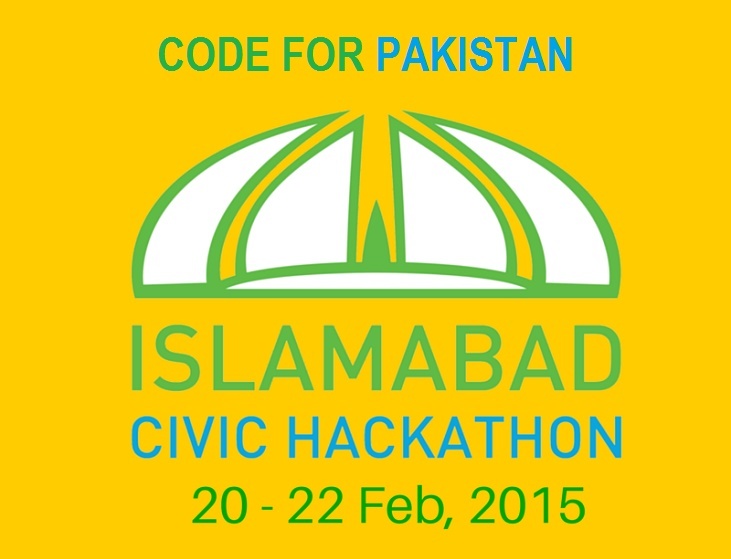 Code for Pakistan has opened registrations for a 3-day Civic Hackathon to be held in Islamabad from February 20th, 2015 to February 22nd, 2015. The main focus of the Hackathon will be to create solutions for existing problems in society through a collaborative work from civic-minded designers, web developers, hackers, mappers, data analysts, journalists and innovators. It is anticipated that Code for Pakistan will also launch Islamabad Civic Innovation Lab and Women & Tech initiative at its Islamabad Civic Hackathon event. The Civic Innovation Lab will help apps to continue being developed and deployed after the hackathon event. On the other hand, Women & Tech Initiative will most probably involve all girls coding clubs or hackathon events in the country. Code for Pakistan are also encouraging women to participate in the hackathon and come up with creative solutions which men cannot envision. The Islamabad Civic Hackathon has been arranged in light of CodeAcross 2015 which is a weekend of civic hacking events hosted by nodes of the Code for America network around the world. The goal for CodeAcross is to activate the Code for America network and inspire innovators everywhere to get actively involved in their community. This hackathon event will offer participants a prospect to learn open-source hacking, get mentorship, receive input from domain experts in government and networking opportunities. The 3-day event will involve team formation, ideation & design and coding & demos. The most promising prototypes will receive generous prizes to support the further design and development of the open source apps. The best apps will be picked for 1st, 2nd, 3rd prizes in addition to Audience Favorite category prize. Furthermore, there will be special prize categories for the Best Apps in Women’s Empowerment, Civic Data & Data Journalism, Government-submitted Problems, and Islamabad/Rawalpindi–specific problems. The Islamabad Civic Hackathon is sponsored by Code for Pakistan and OPEN Islamabad, in partnership with NUST SEECS, NUST TIC, P@SHA, The Nest I/O, Knowledge City, FAST-NU, Hacks/Hackers Pakistan, Invest2Innovate, JumpStart, Alif Ailaan, SpeechofPak, Cogilent Solutions, BrightSpyre, Code for America, and the Planning Commission. Apply here by February 8th, 2015.